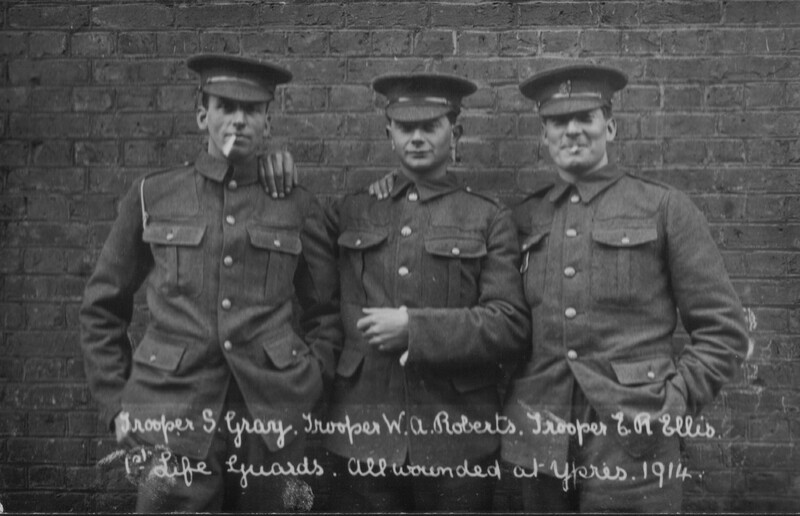 This image from the archives of the Household Cavalry shows three soldiers (Trooper S. Gray, Trooper W.A Roberts and Trooper E.R. Ellis) who were wounded at Ypres in 1914. This rather jaunty photo seems all the more poignant for the fate which awaited them in Belgium.